Despite the close relationship between hospital volume and mortality after pancreaticoduodenectomy (PD), the role of surgeon volume still remains an open issue. Retrospective multi-institutional reviews considered only in-hospital mortality, whereas no data about major complications are available so far. The aim of this study is to assess the independent impact of surgeon volume on outcome after PD in a single high-volume institution. Demographics and clinical and surgical variables were prospectively collected on 610 patients who underwent PD from August 2001 to August 2009. The cutoff value to categorize high- and low-volume surgeons (HVS and LVS, respectively) was 12 PD/year. The primary endpoint was operative mortality (death within 30-day post-discharge). Secondary endpoints were morbidity, pancreatic fistula (PF), and length of hospital stay (LOS). In the whole series, mortality was 4.1%, overall morbidity was 61.3%, and PF rate was 27.5%. Two HVS performed 358 PD (58.6%), while six LVS performed 252 PD (41.4%). Mortality was 3.9% for HVS and 4.3% for LVS (p = 0.84). The major complication rate was similar for HVS and LVS (14.5% vs. 16.2%). The PF rate was higher for LVS (32.4% vs. 24.1%, p = 0.03). The mean LOS was 15.5 days for HVS vs. 16.9 days for LVS (p = 0.11). At multivariate analysis, risk factors for PF occurrence were LVS, soft pancreatic stump, small duct diameter, and longer operative time. Low-volume surgeons had a higher PF rate. However, this did not increase mortality and major morbidity rates probably because of the protective effect of high-volume hospital in improving patient rescue from life-threatening complications. 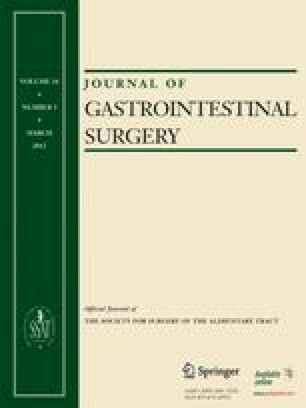 An abstract of the present study was presented at the 17th European Surgical Association Meeting in Budapest, Hungary (May 7–8, 2010). There was no funding for this publication.